Museum demonstrations & yummy ice-cream at your party! 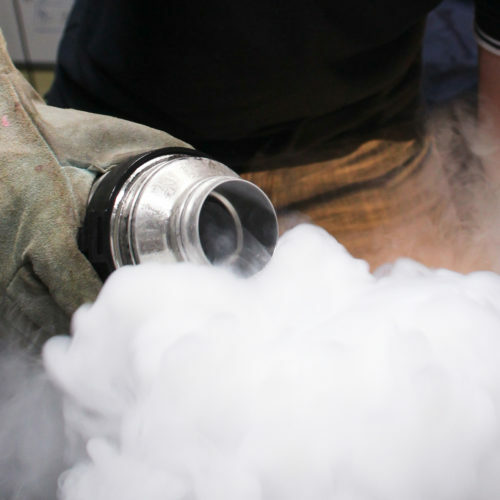 We can make your ice-cream instantly using liquid nitrogen! Popping cans and liquid nitrogen sprinklers. Explore gas expansion and balloon contraction, plus freeze plant material. Hammer in nails with a banana or blue tack! Frozen bubbles and cryogenic elephant’s toothpaste! Laser light beam through condensation clouds (venue dependent). Eat instant liquid nitrogen ice-cream plus more! For ages 7 years and up. Includes access to free science experiments emailed every month! Why can we do these science experiments? Our presenters aren’t your average party hosts! 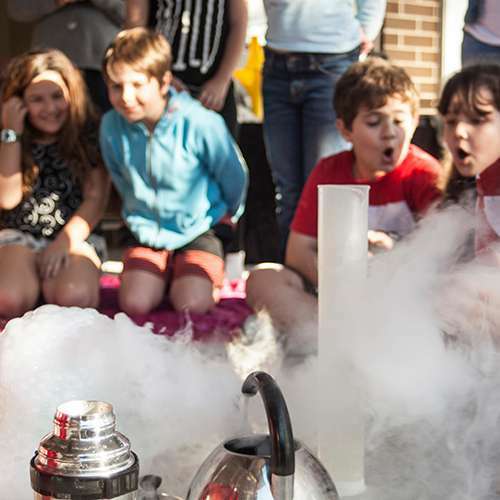 Our science parties have been designed by experienced science teachers and communicators to make sure that the balance is right; cool experiments that they don’t normally see at school and all the fun stuff that you would see at a science toy store! Plus we’ve run 1000’s of science parties since 2004 so all experiments have been completely tried and tested. With all the great feedback we’ve had, you’re child is sure to have a blast! The liquid nitrogen show can either be run either as a 45-minute show by itself or as a 30-minute extension to our other science parties. We really wanted to thank your company for the wonderful job that you did at my son's 7th birthday party last weekend. The presenter did a terrific job; the 7 year old's were just fascinated with everything he said and showed them. It has really inspired a lot of them. I have had so many Mums and Dad's come up to me in the last week relaying conversations that they had with their children about the science experiments. The slime, the bubbles, the liquid nitrogen, the explanations about the composition of the air we breathe, sounds waves, etc. etc.. was incredible, the parents learnt a lot too! Thank you so much. The party made the day! Thank you for running an outstanding party. My son told us it was even better than he thought and he had high expectations. The other children also raved about it. We will certainly recommend you to our friends. Access to a well-ventilated space. Adult presence other than our presenter required throughout the show. Set up time 15 minutes. Pack up time 15 minutes. Cost $70 inc. GST additional to the birthday programme. Want this show by itself without the hands-on experiments? No problem! This can be a stand alone show for up to 45 minutes inclusive ice-cream making. Dress up as a scientist at your science party! Kid-sized lab coats that you can either hire or buy. Check them out! BACK | Liquid Nitrogen Show!